How to upgrade WiFi signal. Everything is WiFi now, so ensuring your Kibosh appliance’s WiFi is setup properly is paramount, and will make for a much smoother experience. Stone and metal will interfere with all WiFi signal. So if you have a room enclosed with stone / metal you will always have problems getting a strong WiFi signal in here, regardless of the power of WiFi router. This room will need a range extender (see below). The direction the antenna is pointing has a big impact. The included 360 / N600 antenna blast a signal in all directions, however an upgraded antenna can be pointed in the right direction, and this will increase coverage. Omni directional antenna = WiFi signal is radiated symmetrically (like a doughnut shape). The Kibosh 360 is a very powerful Wi-Fi router, but sometimes the default antenna included with the 360 are not powerful enough to reach through your entire home / office. This is easily, and inexpensively resolved. Upgrading the antenna in lieu of a range extender is the preferred method as a range extender adds complexity – not too much – but it’s easier to manage one device than two. The 360 comes with two external RP-SMA female connectors. Thus any RP-SMA male antenna, which is most of them for sale, will work. 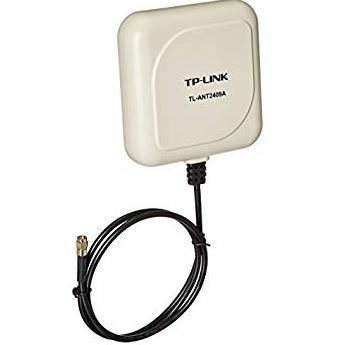 TP-Link 2.4GHz 9dBi Directional Antenna,802.11n/b/g, RP-SMA Male connector ($25) – expensive, but an excellent antenna that will add a few bars to your signal. This antenna needs to be pointed in the right direction. TECHTOO 9dBi Omni WiFi Antenna with RP-SMA Connector for Wireless Network Router ($14 for two antenna) – great value, and manufacturer, these will add a couple of bars across the board. 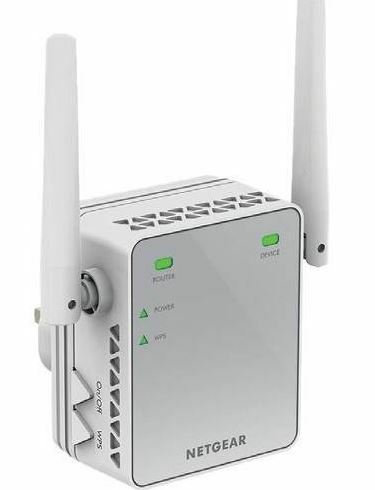 TP-Link 2.4GHz 8dBi Indoor Omni-directional Antenna, 802.11n/b/g, RP-SMA ($8 for a single antenna) – great antenna, will add a noticble improvement in WiFi range. These are just a few examples of antenna upgrades. There are many others available. Again, any antenna with RP-SMA antenna will work. Also note that you can mix antennas. For example, you could get a single TP-Link 9dBi directional antenna ($25), plus the TP-Link 8dBi omni-directional antenna ($8). Or just add a single antenna on one side, and leave the default antenna on the other. We really only recommend one model, and that’s the NetGear N300 Range Extender (purchase) which is simple to setup, and plugs into any wall outlet, and it’s less than $30.00. So, you can easily add one, or two if needed. How to configure the N300 with Kibosh.